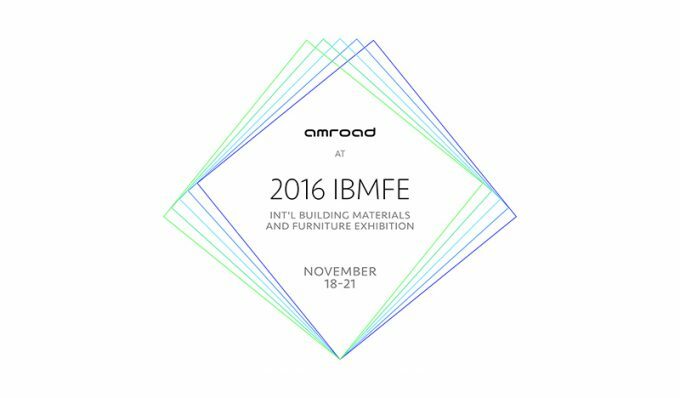 IBMFE (internatioanal building materials and furniture exhibition) endorsed by Ministry of Economic Affairs, R.O.C., Construction and Planning Agency, Ministry of the Interior , Architecture and Building Research Institute, Ministry of the Interior. At the Amroad corner, Amroad representatives will be demonstrating the Amroad System and showcasing the Amroad XL, Amroad P9, Amroad P5, Amroad P3, Amroad DP3211 and Amroad I/O Controller. Visitors and invited guests will have the opportunity to discuss how SIP devices can contribute to building sustainable communities. Subscribe to receive email updates about Amroad and Amroad Products. © 2014 AmRoad Technology Inc.